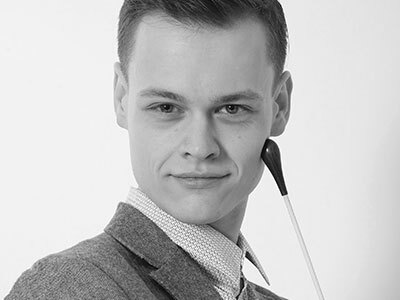 James Hendry was a member of the Jette Parker Young Artists Programme in 2016/18, conducting Oreste and La Tragédie de Carmen (Wilton’s Music Hall), an opera concert and Beethoven Symphony No. 9 with Southbank Sinfonia, a lunchtime concert with members of the Royal Opera House Orchestra and scenes from Le Comte Ory and Hamlet in JPYAP summer performances on the main stage. Notable engagements elsewhere: assistant conductor on Rigoletto and La bohème; Royal Opera music staff for Der Rosenkavalier, Adriana Lecouvreur, Die Meistersinger von Nürnberg, Madama Butterfly, L’elisir d’amore, Otello, Turandot, La bohème, Cavalleria rusticana, Pagliacci, Tosca, Carmen, Macbeth and Lohengrin, and the Royal Ballet music staff for Les Enfants terribles. Forthcoming: This season, he joins the Royal Opera as Jette Parker Principal Conductor, acting as assistant conductor for La traviata, La forza del destino, Faust, Andrea Chénier and Tosca, and répétiteur for Verdi Requiem, Simon Boccanegra and Le nozze di Figaro.